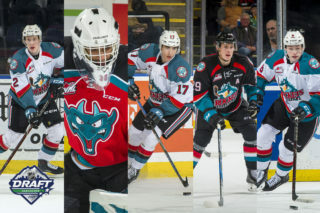 Kelowna Rockets defenceman Cal Foote adds his name to a lengthy list of Rockets defencemen to be selected at the NHL Entry Draft. 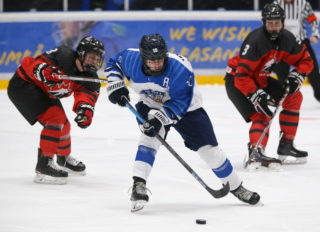 Foote was selected 14th overall in the first round of the draft by the Tampa Bay Lightning on Friday in Chicago at the United Center. 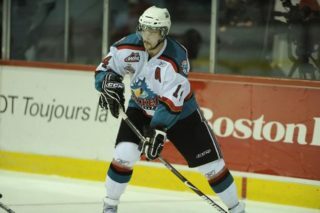 Foote becomes the eighth Kelowna Rockets player in team history to be drafted in the first round. Six of those eight have been defencemen. Most recently, Lucas Johansen was selected 28th overall by the Washington Capitals in the 2016 NHL Entry Draft. “It means a ton to me, I’ve worked my entire life for this moment but I’m excited to get back to work in August with the Rockets,” Cal said when asked what it means to him to be drafted. 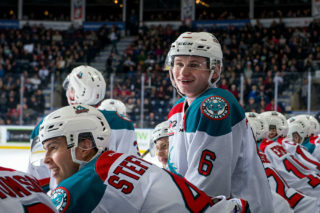 Foote had a great season, leading the Rockets D in points with six goals, 51 assists, for 57 points in 71 games this season. He also registered a whopping +39 plus/minus. He added a goal and six assists for seven points in 14 playoff contests. All of this came while logging huge minutes for the club. Foote was one of seven players out of the WHL taken in the first round on Friday evening. 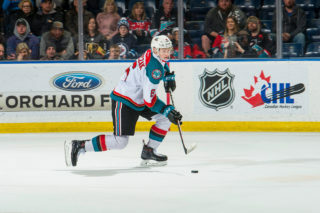 Rockets forward Kole Lind is still available to be selected tomorrow when the draft continues with rounds two through seven.